What are the most beautiful Italian songs? Click here to listen and watch videos of the most beautiful songs in the past 60 years or so. In other words, the greatest 100 Italian songs of all time from pop to Neapolitan to opera. Songs like Arrivederci Roma, O Sole Mio, Nessun Dorma, Quando, Quando, Quando sung by the original artists, such Luciano Pavarotti, Adriano Celentano and Maria Callas. Buy this fantastic Box Set of 5 CDs with the top Italian songs of all time by the original artists. Click here to see the full list of songs. Here a list of the Top Italian songs from 1950 to 2015 ranked by sales per year in Italy. Whether you’re new to the songs of Italy or familiar with them, our selection of compilations on CD, MP3 or iTunes, contains the top Italian songs by the original artists, and we think they should be on any Italian music lover’s collection. We have also included recent albums from the Sanremo Festival of the Italian Song, the most popular annual music competition in Italy. 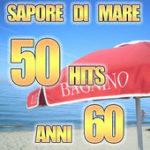 54 Italian hits from the late 1950s to the early 1960s featuring many famous Italian singers like Mina, Adriano Celentano, Tony Dallara, Roberto Murolo, Nilla Pizzi, Renato Carosone, and many more. View all the “Grandi Successi” albums by various artists. Fantastic hits during those years. Classics like “Marina”, “Tu vuò fa L’Americano”, “Granada”, “Volare”, “Melodia D’amore” and many more! Featuring Rocco Granata, Renato Carosone, Caterina Valente, Tony Dallara, Mina, Dalida – and of course Adriano Celentano! A 3-CD Box full of top Italian songs! An all-time favorite album containing the top Italian songs in US. Lary Mary (Luna Mezza Mare) by Lou Monte, Volare (nel Blu Dipinto Di Blu) by Domenico Modugno, Guaglione, Anema E Core, Funiculi Funicula, O Sole Mio, Al Di La, Arrivederci Roma, and many more. Here’s another best sellers of famous Italian American songs. Mamma Mia! These 18 songs will take you back to the old neighborhood faster than a whiff of homemade marinara! Includes, of course, That’s Amore Dean Martin; Eh, Cumpari Julius LaRosa; Darktown Strutters’ Ball (Italian Style) Lou Monte; Come Prima Tony Reno; Spanish Eyes Al Martino; Angelina & Zooma Zooma Louis Prima, and more. Now that’s Italian! The annual Italian song competition held in Sanremo for over 65 years is the place that still launches many artists into the pop/rock scene and where songs become N.1 hits. Volume 2 of this series contains some of the best songs of the late 60s and early 70s performed by Little Tony, Dino, Giorgio Gaber, Fausto Leali, Wilma Goich, and many more. Some of most famous songs from the 1970 in Italy are featured in this double CD compilation. This will be a great addition to your collection of top Italian songs. Pino Daniele, Loredana Bertè, Mango, Mietta, Patty Pravo, Raf, Enrico Ruggeri, Ornella Vanoni, Giuni Russo, Drupi, Litfiba are some of the artists featured in this 2CD compilation of top Italian songs. Some of the best songs on the 1980s in Italy are included here. The 2015 Sanremo Festival sees many new artists as well seasoned ones. A total of 40 tracks performed by the original artists. Il Volo, Chiara, Marco Masini, Irene Grandi, Gianluca Grignani, Raf, Nina Zilli, Malika Ayane, Annalisa, Nek, etc. The best songs from Sanremo 2016, on Disc 1 you’ll find the new songs including the winner Stadio with the song Un Giorno Mi Dirai; on Disc 2 the artists perform covers of famous Italian songs. 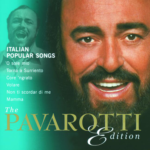 A must-have for all lovers of classic Italian and Neapolitan Songs performed by Luciano Pavarotti. A total of 21 tracks with titles like: ‘O Sole Mio, Torna a Surriento, Funiculì funiculà, Mamma, Nel Blu dipinto di Blu, Chitarra Romana, Un Amore così Grande, and many more.